New Delhi, May 2018: Create a contemporary look to any living space by adding silver sculptures, art installations, photo frames, wall hangings, decorative bowls and other silver accessories that instantly transform the vibe of the sitting room. The living area draws inspiration from your signature style and a touch of traditional and sophisticated products gives a classy edge to a boring space. Frazer and Haws bring a range of elegant decorative pieces in silver that help you to create a comfortable and welcoming space for parties and get-togethers. Our range comprises of beautiful candle stands, fruit bowls, wine goblets, bubble glasses for your champagne and many more products. Experience style with these stunning silver pieces and let your home unveil its beauty. Get the season’s look with Frazer and Haws Décor Accessories and be guest ready always! Img _1578: Frazer and Haws have conceptualized remarkable bar accessories that raise the bar for the happy hour experience. 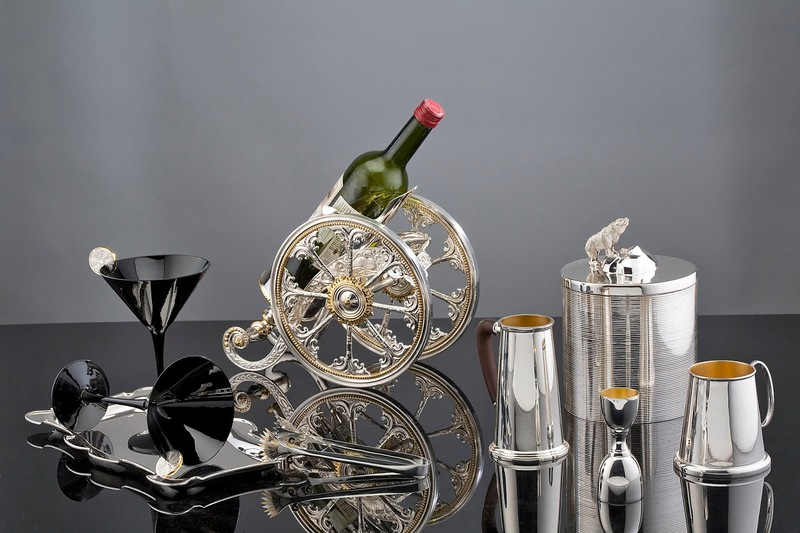 Our range includes ice buckets, wine holders, flutes, goblets and bar tools- each one a masterpiece. Add a touch of class to your bar. Img 9634: Fish are associated with good luck, knowledge, fortune, and creativity. Inspired by the same we present to you our fish inspired range of products that include fish tikka platter, silver water jug, and silver glass. These one of a kind items are sure to delight your guests. Lamp Equestrian: Frazer and Haws present this impressive horse head lamp in mixed media. This exquisitely crafted horse in composite stone has silver stirrups with open stitch pattern engraved on it. The base of the lamp is made of highly polished and chiseled black granite. The outer demarcation of the two-tiered base is in silver with bolts in gold gilding. The lovely raw silk shade is hosted on a brass arm. A truly elegant piece which would light up any room and add panache to any decor!